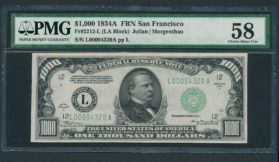 Small size $1000 Federal Reserve Notes were printed for three different Series. 1928, 1934 and 1934A. 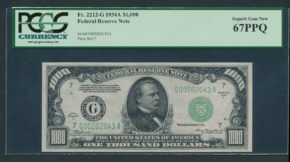 There are a total of 35 different Series / District combinations of Federal Reserve Notes available. 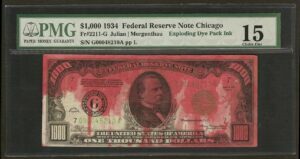 That is 12 different districts from all three Series with the exception of Series 1934A Dallas $1000s where none were printed.